Bigeye Productions began in 1996 as a website developer and internet service specialist. 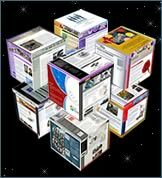 Today we offer cutting edge website design with our partner Cyberslang Consulting and have created several other partnerships to provide Simple, Easy, Internet Solutions for our clients. Featured in both Paint Dealer Magazine and Paint & Decorating Retailer Magazine, Bigeye Productions has had exceptional success working with Paint Dealers across North America. Our client base does not end there. We service customers throughout the continent in the Sporting Travel Industry, Health Care, Golf & Recreation, Retail Sector and More! 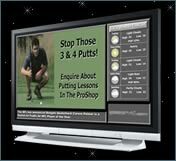 Our latest technology available to retailers is Digital Signage. Digital Signage is the latest technology available to retailers for in-store advertising. Bigeye Productions provides full service digital signage services. Let us manage your signage installation, creative process and ad production, and management of your digital signage network. Catch the Digital Vibe with Bigeye Productions!